Ear Candling: Does It Work? By arash Ear Wax Comments Off on Ear Candling: Does It Work? During ear candling, a candle is soaked in wax or paraffin and put into a hole cut into a paper plate. The plate is used to protect your face from being burned by the candle wax. The candle is then placed in your ear canal and allowed to burn for a few minutes. It is believed this creates a suction mechanism that can bring the wax out and into the candle. People who use this method believe it cleans out the entire head and pathways. This is not considered safe and there is not a proven method of treatment. Having your ears cleaned by a medical professional is a much safer method. You will not need to worry about getting burned by fire or wax. Your ears will be cleaned with equipment designed for the medical procedure. 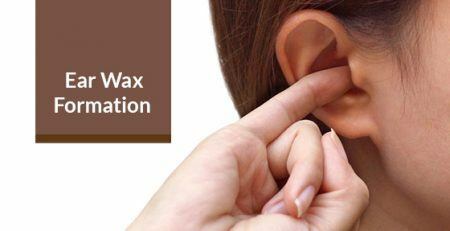 Not all hearing clinics offer ear wax removal as a method of treatment, but it can be a useful one. First, they must be able to assess your ear blockage and determine the severity of your condition. They should provide you with an ear softening product before the ear wax removal procedure. It is considered safer to have the wax removed by a professional than by trying ear candling or to do it yourself. If you are having difficulty hearing, you need to find help as soon as possible. You want a hearing clinic that can help you hear better and one that offers you quality products. Hearing loss does not have to affect your life forever. For more information on ear health, call House of Hearing today at (416) 546 7281 or contact us here.